Presale for Megadeth fan club members will start on Tuesday, July 19 at 10:00a.m. local time at Cyberarmy.Megadeth.com. 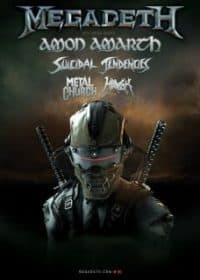 Tickets for the general public go onsale Friday, July 22 atmegadeth.com/tour.